The Scottish FA have released a statement condemning in the strongest terms incidents involving unacceptable conduct in Scottish football. 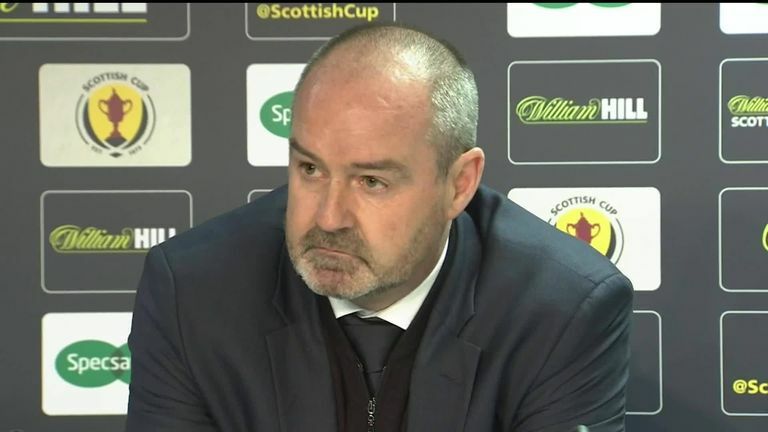 The statement comes in light of Kilmarnock boss Steve Clarke's remarks on Wednesday evening accusing Rangers fans of sectarian abuse following their 5-0 Scottish Cup fifth-round replay defeat at Ibrox. Clarke stated he felt that some fans are living in the "dark ages" in his post-match interview. He added he was thankful to sign for Chelsea during his playing career as it allowed his children to grow up in England and not Scotland. On Sunday, Kilmarnock captain Kris Boyd was allegedly subjected to sectarian abuse during their Scottish Premiership match against Celtic and was also struck by a coin while on the touchline at Rugby Park. The SFA statement read: "The Scottish FA condemns in the strongest possible terms the spate of incidents this season involving unacceptable conduct in Scottish football. "This season we have witnessed match officials and players hit by coins, sectarian singing at matches and abusive and threatening behaviour towards match officials, players, managers and coaching staff. "This behaviour is completely unacceptable and simply has no place in football, or indeed Scottish society. "Football has a responsibility to take action. We must do all that we can under our current rules and engage with clubs to seek to eradicate such behaviour. This issue, however, is not one that football can solve on its own. Hearts manager Craig Levein has backed Steve Clarke's decision to speak out after the Kilmarnock manager accused Rangers fans of sectarian abuse. "To that end, SPFL Chief Executive Neil Doncaster and I recently met with Cabinet Secretary for Justice Humza Yousaf, Minister for Public Health, Sport and Wellbeing Joe Fitzpatrick and Police Scotland Assistant Chief Constable Bernie Higgins to discuss unacceptable conduct in football and how we can work together to address this. "We will seek further discussions in light of the most recent events to maintain the momentum for change." Rangers boss Steven Gerrard said the club are determined to "stamp out" any unacceptable behaviour following Clarke's claims. Director of sports journalism at St Mary's University Dr Daragh Minogue defines sectarianism and explains its impact on football in Scotland. A Scottish Government spokesperson said: "There is no place for any kind of prejudice in Scotland and we are committed to tackling all forms of discrimination. "This is why we have committed to maintaining funding to deliver work to tackle sectarianism. The vast majority of football supporters are well-behaved however, there is still a problem and we must never lose sight of the collective need across society to have a zero tolerance approach on offensive behaviour. "We have discussed this with the Scottish FA and Rangers today and will continue to discuss with them, and others, what further action can be taken to address this issue as there continue to be problems with unacceptable conduct in Scottish football, highlighted by a number of recent incidents. 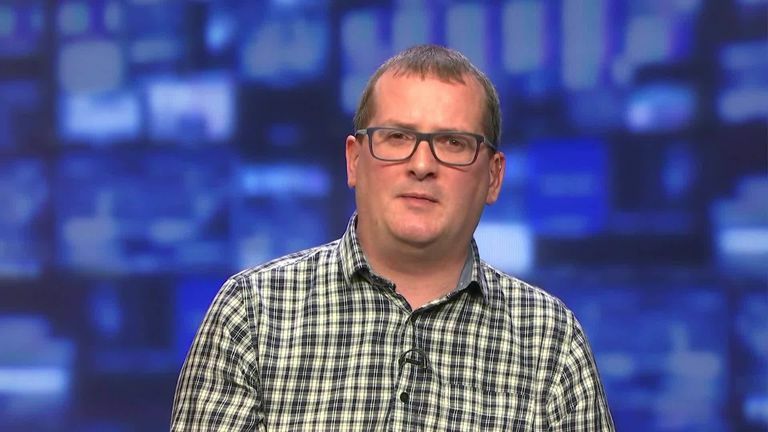 David Scott, director of Nil by Mouth, talks to Sky Sports News about the issue of sectarianism in Scottish football following Kilmarnock boss Steve Clarke's claims that he was abused by some Rangers fans. "There needs to be stronger action by football clubs to tackle this vile cancer still plaguing our society and beautiful game. "Our preferred solution has always been that football proactively shapes and delivers a solution that is robust, transparent and contains a strong element of independence. However, we are considering what further action could be taken and we will consider a full range of options. "Since 2012 this Government has invested an unprecedented £13.5 million to support the delivery of anti-sectarian education in schools, prisons, workplaces and communities through community dialogue, workshops, peer-led programmes, intergenerational work and more." 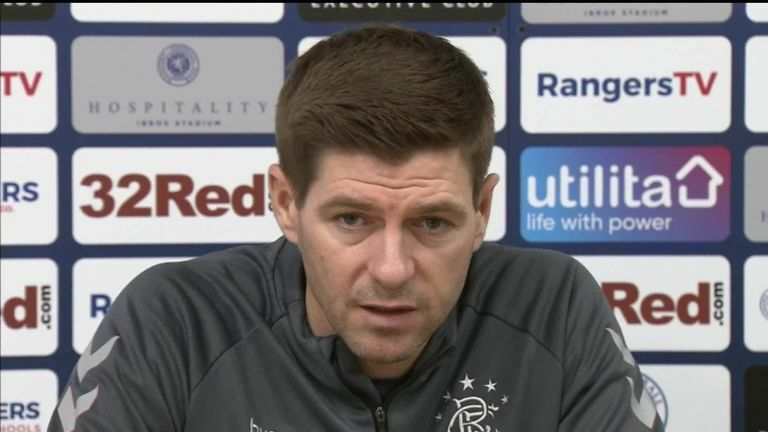 Steven Gerrard says 'unacceptable behaviour' by fans is not welcome at Rangers, following Kilmarnock manager Steve Clarke's claims that he was subjected to sectarian abuse during the match between the sides. 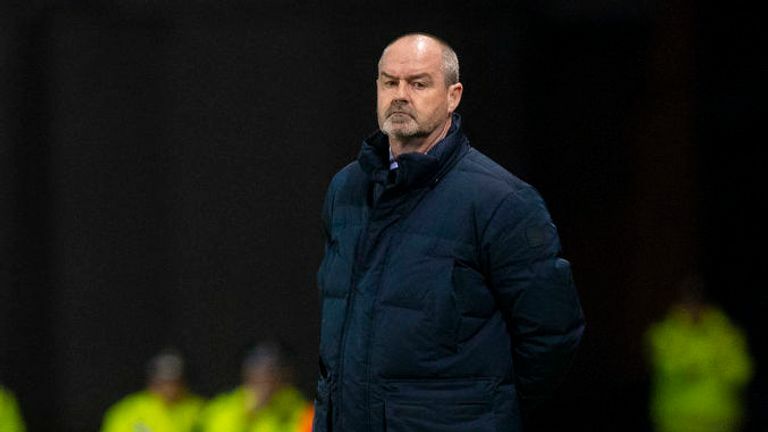 In a statement released on Thursday, Kilmarnock said: "The board's position is that they and everyone at the club are fully behind Steve [Clarke] in condemning sectarianism in all its forms. There is no place for sectarianism in football or society." Earlier this season, former Hibernian head coach Neil Lennon was struck on the head by an object thrown from the crowd during the Edinburgh derby at Hearts at Tynecastle. Lennon also spoke out about sectarianism saying he was targeted by it during his time in Scotland.